Nacházíte se: Booktook.cz → Odborná literatura → Cizojazyčné → Biologie → Divergence with Genetic Exchange, 2nd ed. 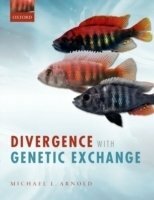 Divergence with Genetic Exchange, 2nd ed. The study of genetic exchange resulting from natural hybridization, horizontal gene transfer, and viral recombination has long been marked by controversy between researchers holding different conceptual frameworks. Those subscribing to a doctrine of 'species purity' have traditionally been reluctant to recognise inferences suggesting anything other than a marginal role for non-allopatric divergence leading to gene transfer between different lineages. However, an increasing number of evolutionary biologists now accept that there is a growing body of evidence indicating the existence of non-allopatric diversification across many lineages and all domains of biological diversity. Divergence with Genetic Exchange investigates the mechanisms associated with evolutionary divergence and diversification, focussing on the role played by the exchange of genes between divergent lineages, a process recently termed 'divergence-with-gene-flow'. Although the mechanisms by which such divergent forms of life exchange genomic material may differ widely, the outcomes of interest - adaptive evolution and the formation of new hybrid lineages - do not. Successive chapters cover the history of the field, detection methodologies, outcomes, implications for conservation programs, and the effects on the human lineage associated with the process of genetic transfer between divergent lineages.